GRAFT Network - a hidden gem? Imagine a world with truly decentralized, yet fast and convenient payments, accessible anywhere. A payment network with no big banks, no single access point dictating the rules and selling, reporting, or compromising your transaction data, a network that allows everyone to both use it and participate in it. Credit card networks like Visa and Mastercard provide a valuable service – they authorize payments very quickly while you’re at the point of sale, providing the merchant with assurance that they will get paid, and then facilitate transaction settlement between the banks; they also make your electronic payment method (credit card) accepted at millions of locations. 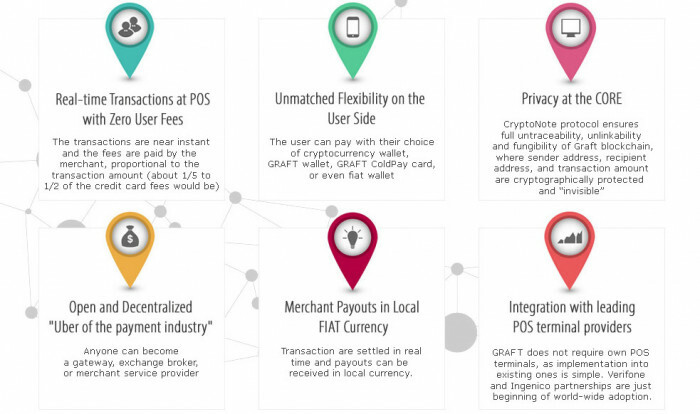 Just like them, GRAFT is making the alternative payment transactions work in real-time anywhere via instant off-chain authorizations and integration with existing payment terminals, and then settling them onto the blockchain with uncompromising privacy – all this without involving banks! So, what does it mean and how do they plan to achieve it? Well there is one big thing that GRAFT has and similar projects / competition don't - Certification and integration with Verifone Payment Terminals (POS machines that you see on checkouts at your shop), and they are planing to integrate it into Ingenico POS terminals as well. So who are Verifone and Ingenico? 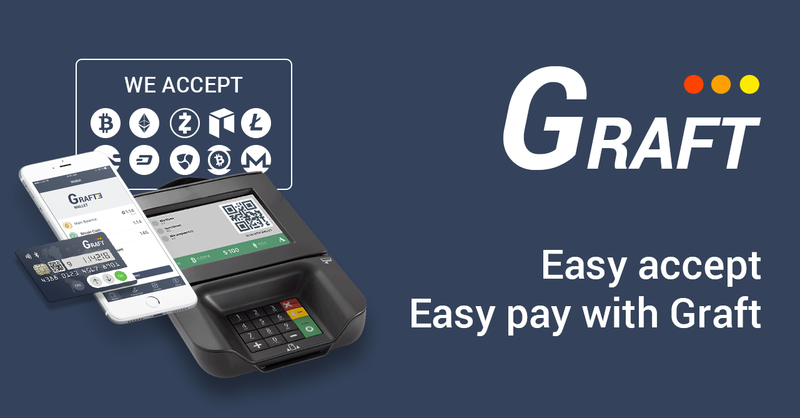 Two of biggest POS manufacturers in the world, and GRAFT is implementing their blockchain payment solution on their POS terminals. How big is Verifone partnership? "Verifone is transforming every day transactions into new and engaging opportunities for merchants and consumers at the last inch of payments and commerce. Powered by a growing footprint of more than 30 million devices in more than 150 countries, our people are trusted experts working with the world’s best-known retail brands, financial institutions, and payment providers." How will upgrade be done? Simply from manufacturer's APP marketplace! GRAFT Blockchain made it easy for the merchant to start accepting cryptocurrency at the point of sale, without having to change processes or to train people. 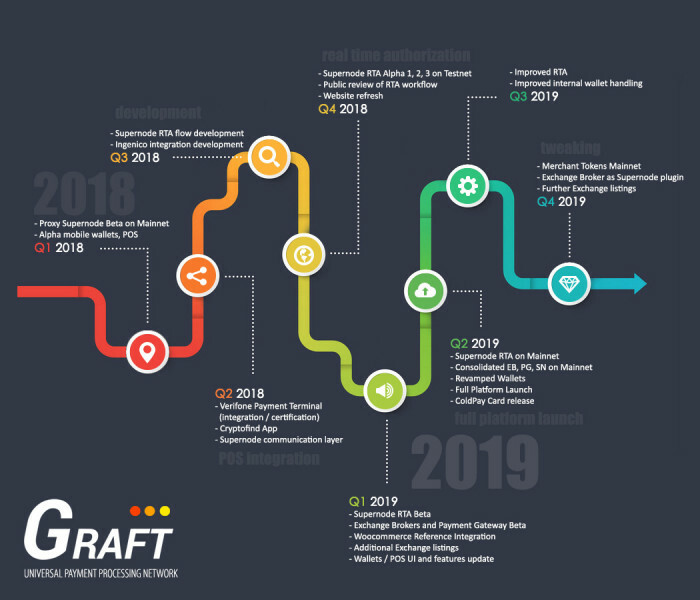 Graft uses payment processing protocols and flows similar to traditional electronic payment systems – like credit, debit, and prepaid cards. The developers wanted to create a system that was already familiar and trusted by users and merchants around the world, spurring the adoption of Graft as a mainstream platform. 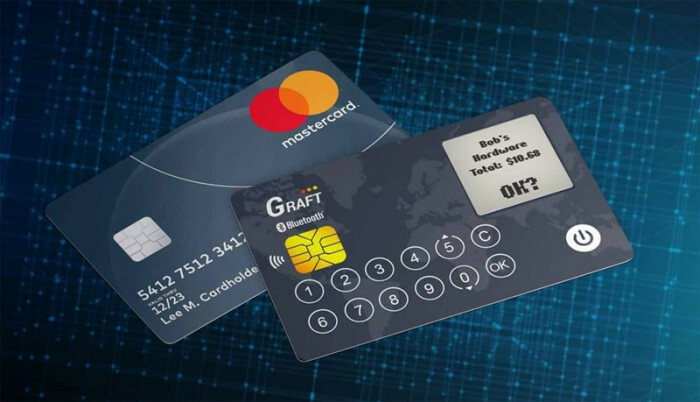 The overall concept of plastic credit cards may be outdated, but the existing infrastructure is still in place, and GRAFT aims to be compatible with that infrastructure, spurring adoption across merchants. Transactions will be instant (from miliseconds to few seconds max) which enables normal in-store and online checkout process. 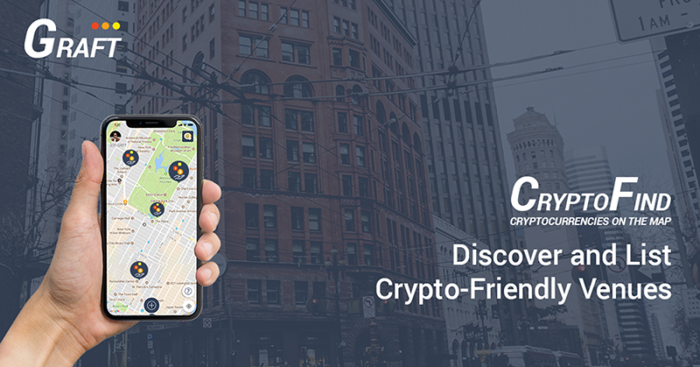 GRAFT has also developed CryptoFind APP which is basically their own version of Google Maps but with be used to discover and list crypto-friendly venues. CryptoFind is now standalone app, but should be integrated into new wallet version (which should be released soon). GRAFT is also developing ColdPay Card (actually as I am aware, it is done, but they are waiting to release full platform first, otherwise it wouldn't make sense to release ColdPay card), their own version of Cold Wallet card which can also be used as Payment Card in case you don't want to use your mobile phone for scanning QR code from POS terminal. How much projects out there have OWN cold wallet storage? ColdPay Card has built-in display, NFC and low energy Bluetooth interfaces, sensitive data stored in smart chip, rechargable battery and a compliance with CC EAL 5+. As announced, new wallet will be released soon, with bunch of new functionalities, like transaction logging (not something that Monero supports by default), improved login usability with either PIN or Biometric, Address book for P2P transfers, ability to launch / manage Supernodes and Exchange Brokers directly from the wallet app, integration with ColdPay card and many other cool stuff... List is long. So, why is GRAFT so cheap? Well, they had just incredible amount of bad luck / bad circumstances going on around them. First, ICO started on 18th January 2018. and it lasted for a month. Or to rephrase it - it started when BTC was around 13k USD (let me remind you it "just" dropped from 20k) and it ended when it was 10k USD. Just a month later it went down to 8k. Bad luck dragged other things with it as well - like exchange listings - TradeOgre added them without noticing (when people were mining it like it was year 2010.) and not many of those miners actually care about the projects, they are in for a quick profit / dump which eventually crashed the price as well. Developing something like this takes time, and most of the people don't realize that. But what I've noticed over past few months is that things are changing. You can see by the number of tweets and updates they recently made (which are actually good updates, bunch of development stuff is going on - in short timeframe), that things are not far away from full product launch. Their community engagement is much better than it was 6 months ago (I can understand that, beside pure development updates and bug fixing they probably didn't have much to update on). Perhaps they could've leave some things (like ColdPay card) for later development, and rush things up - but they decided to do stuff their way. They have also released new roadmap (this one is with actual timeframes and milestones unlike the last one which was more or less purely development roadmap) which also confirmed my suspections - that we are in final stage of launching full product. Payment gateway that allow merchants to accept fiat and cryptocurrencies through already existing infrastructure is at the moment the best adoption I could possibly imagine. Merchants don’t need to completely overhaul their reporting system to start accepting cryptocurrencies. With total market cap of under 700 BTC (current price is hovering around 145-150 satoshis), GRAFT is an absolute steal!